Interserver sets itself apart because of the technology they offer, as well as the numerous choices in both hardware and software. Add to this, they have great support; top executives in the company routinely handle support requests. 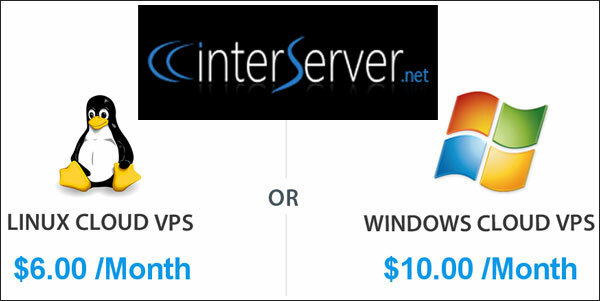 On top of the support, they offer the cheapest intro-level VPS package at only $6/month. This all adds up to a solid choice for VPS hosting. Started in 1999 and still in business after 14 years… That itself speaks volumes about the quality and dedication with which Interserver works, not to speak of the experience and expertise they have gained over all these years. Technology in the hosting industry has changed several times since then but Interserver folks have done a tremendous job in keeping pace with time. Right from dedicated servers to co-location to building their own datacenter, they have added many innovative products and services to their list of offerings in order to complement their existing line of business, and serve their customers better. If you are looking for a high performance hosting service that does not burn a hole in your pocket, then this New Jersey based provider must be the one you should consider going with. Secure and reliable infrastructure, thrilling speed, high uptime, friendly and supportive staff are just some of the freebies you get irrespective of the hosting plan you choose. 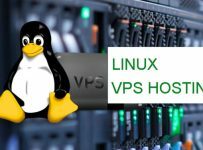 Interserver VPS hosting servers are located at multiple places in the US and are soon set to expand across other countries like United Kingdom, France, and China. The VPS comes with 99.9% uptime guarantee and the server deployment takes as less as 15 minutes. All servers are Raid10 protected against the risk of disk failure. Rebootless update is yet another feature that enables the updating of kernel security without any downtime. You get a wide range of operating systems to choose from including Ubuntu, CentOS, Debian, Funtoo, Openwall, Fedora, Slackware, Windows and many more. One IP address comes free with the package but if you need more, it just costs a dollar per month per IP; you can choose to have up to 5 IPs. You can also go for other updates like cPanel or Direct Admin control panel, auto-installation scripts like Fantastico and Softaculous, etc. for a very reasonable price. It’s a fully managed hosting with cloud backups and Ipv6 addresses. Redundant storage and round the clock server monitoring add speed and safety to it. 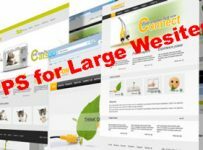 Cluster DNS and ready to use web design templates are among some other goodies that you get. Interserver hosting is powered by high speed ethernet connections of 10 Gbps. They have tie-up with multiple backbone providers which are connected through super high quality switching and routing equipment from reputed companies like Cisco, Riverstone and Extreme Networks. Traffic to your website is then routed to the most suitable backbone provider as determined by their intelligent routing protocol by taking into account various factors like proximity of the visitor, current server load, etc. This keeps latency to bare minimum and ensures the best possible speed for your website. In addition to automatic redundancy management through BGPv4 intelligent routing, Interserver also follows N+1 or ‘needed plus one’ policy. So, they always set aside a spare connection and router while updating the network. This takes care of any unexpected situation that would have otherwise resulted in the downtime of your website. Thus, in addition to further adding to the speed of the hosted websites, redundancy also reduces unexpected downtime. 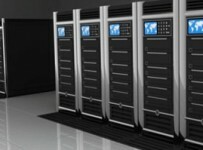 Few web hosting companies that you know may have their own datacenters. But how many of them out there can boast of having their own fiber network? Interserver guys not just have their very own fiber network spread across the country but you would be surprised to know that they also build and customize their Linux kernel on their own. They take pride in understanding and handling all aspects of hosting inhouse all by themselves. So, needless to say, they have some of the best engineers and experts of the hosting industry. Their networking technicians hold certification from reputed vendors like Cisco, Nortel and Juniper. This gives them the strength to face any problem whatsoever with confidence and solve it in no time since they don’t have to deal with numerous external agencies. Many hosting companies find it convenient to outsource the support services since they do not directly add to the company coffers. But going by the Interserver line of thought, calling support services unproductive is nothing less than being shortsighted. So, like most other things like high tech equipment and infrastructure, support services too are provided inhouse. Be it system admins, field operators, customer support agents or facility managers, all are part of talented inhouse team. Another great thing about their setup – it’s not only customer support staff that are responsible for solving customers’ problems. Every member of the team is equally excited to look into your concern; they in fact consider it their privilege. So, don’t get surprised if your support call happens to be answered by the company’s president himself for that’s the way Interserver organization runs. Most of the directors and managerial staff have been there since the very inception of the company and there is nothing more serious for them than resolving their customers’ query. It is this spirit that cuts across ranks and a director rebooting server or closing a support ticket is nothing sort of a rare sight at Interserver. Now isn’t that fantastic? I don’t think I am left to ask anything more than this as a customer. Happy customers are the key to the success of any business entity and nobody understands it better than Interserver. Providing uninterrupted service with reliable resources in order to see their customers’ business flourish is what they aim at and have been successfully doing so far. Be it an individual freelancer or a Fortune 500 company, all are equally delighted to have their website hosted with Interserver. And I am pretty sure, you too will be.